Improvisation On 1st Movement From Concerto In D Minor by JS Bach is arranged by Django Reinhardt and recorded in Paris in 1933. Gypsy jazz (also known as gypsy swing or hot club jazz) is a style of jazz music often said to have been started by guitarist Jean “Django” Reinhardt in the 1930s. 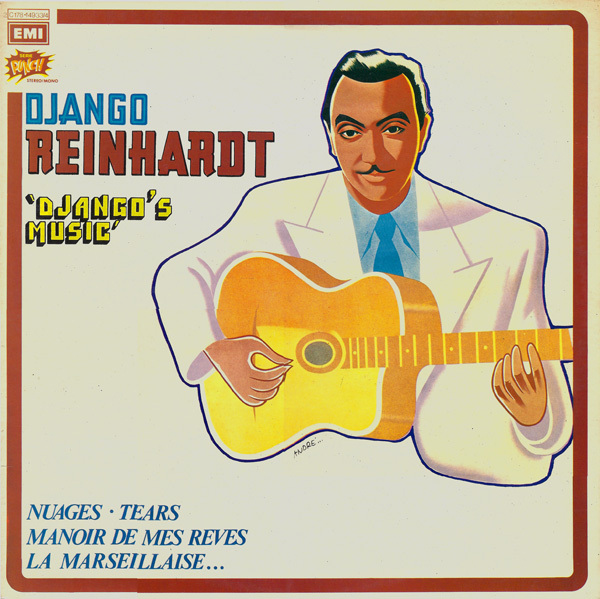 Django was foremost among a group of Gypsy guitarists working in and around Paris in the 1930s through the 1950s, a group which also included the brothers Baro, Sarane, and Matelo Ferret and Reinhardt’s brother Joseph “Nin-Nin” Reinhardt.